Condition: collector quality; the silver has a nice patina and minimal surface wear; the box clasp is in good working order. 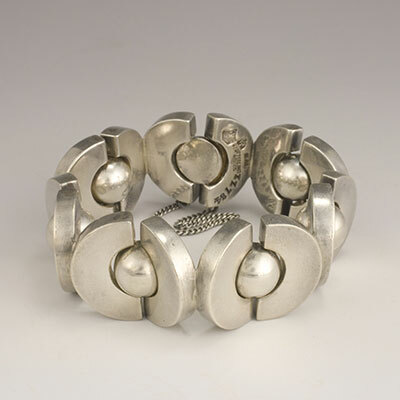 This bracelet is from Antonio Pineda's strongest design period when he was producing very impressive designs based on repeating forms. 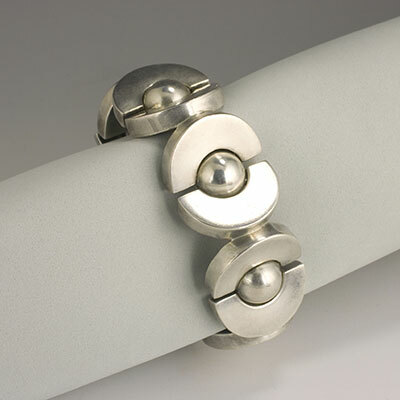 It is known by many names: "Hubcap", "Hinged Spheres", "Ball Bearing".and "Saturns" to name a few. 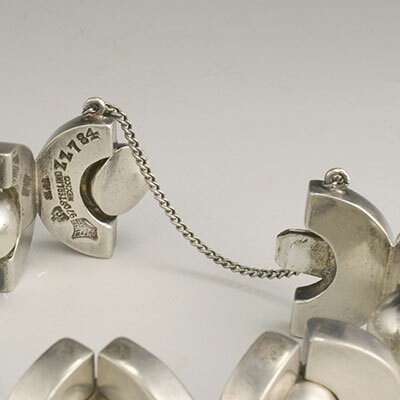 This piece shows his genius in connecting links invisibly, and at the same time exploiting the connections to make his design so unique. 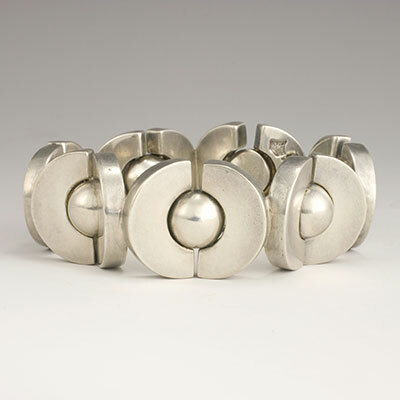 When it comes to elegant forms and statement pieces, this is Antonio Pineda at his best.